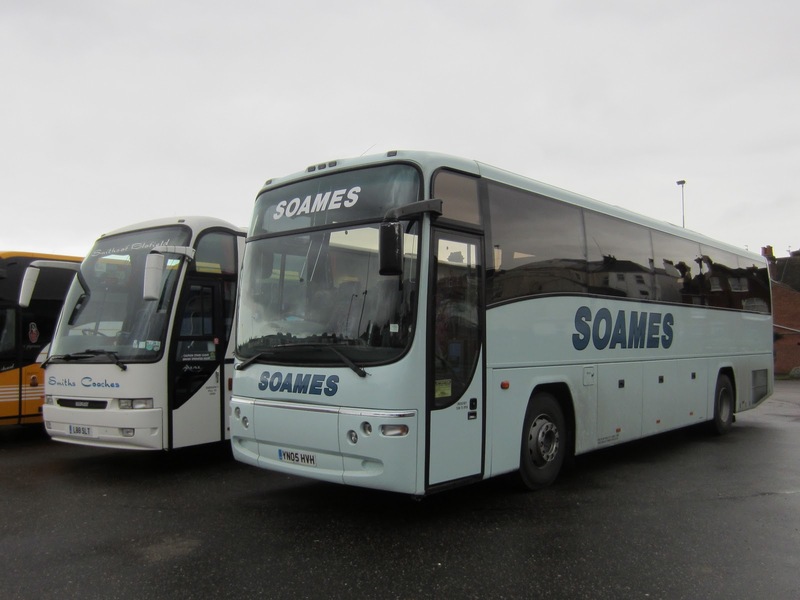 Just a few bits and pieces to relay to you today before the new year activities begin! 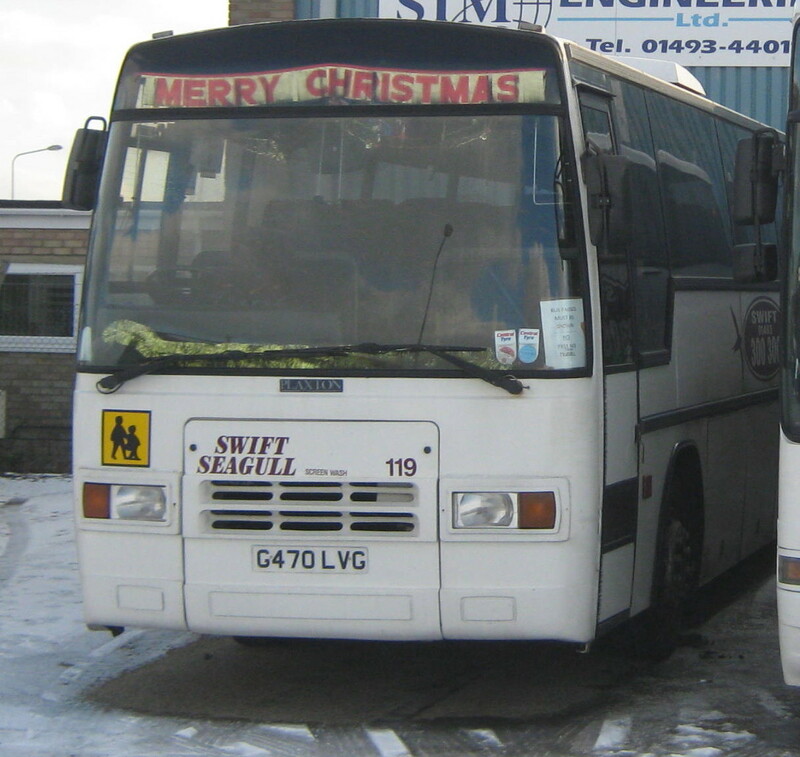 The year began with First's Great Yarmouth Caister Road depot withdrawing Leyland Olympian 34333 H132FLX for the final time, following a temporary reprieve being employed on Bernard Matthews contacts in the lead up to Christmas. 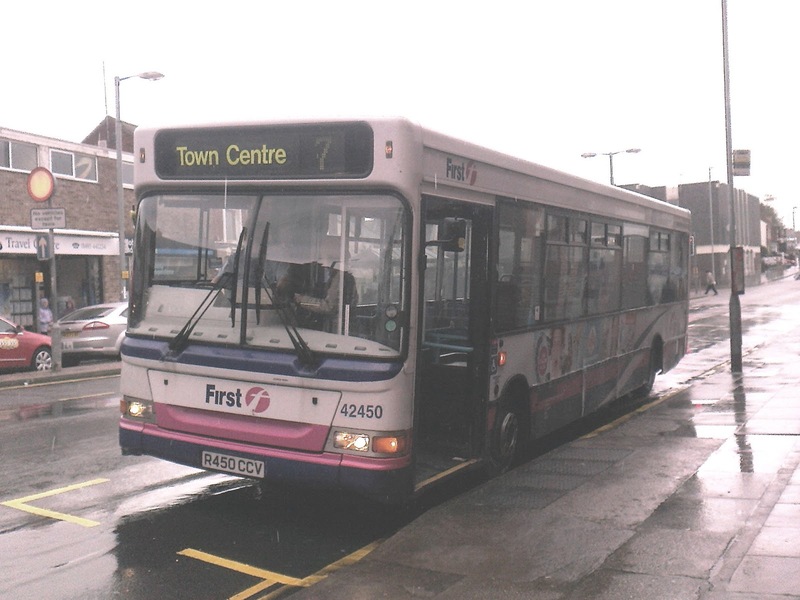 Soon after she was transferred to First Essex for further use! 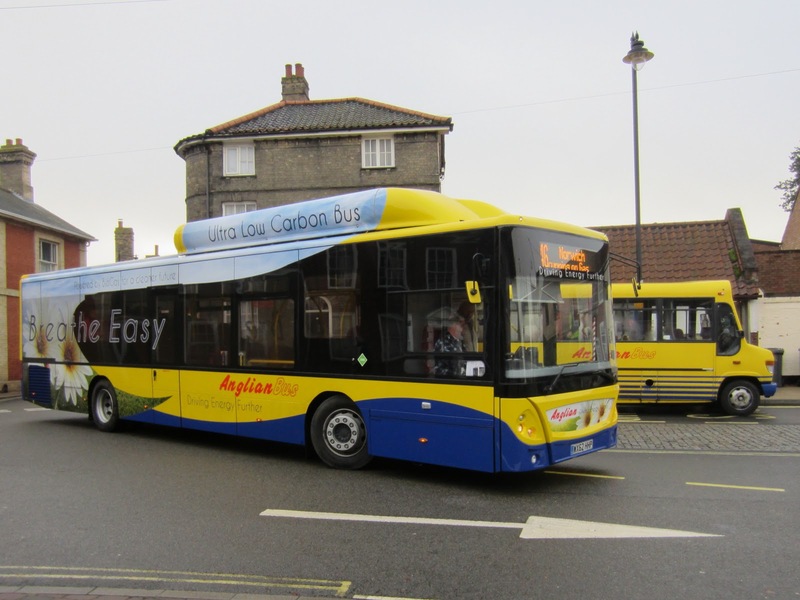 However, the surprise of the year was the arrival of six Enviro 200s at Caister Road. 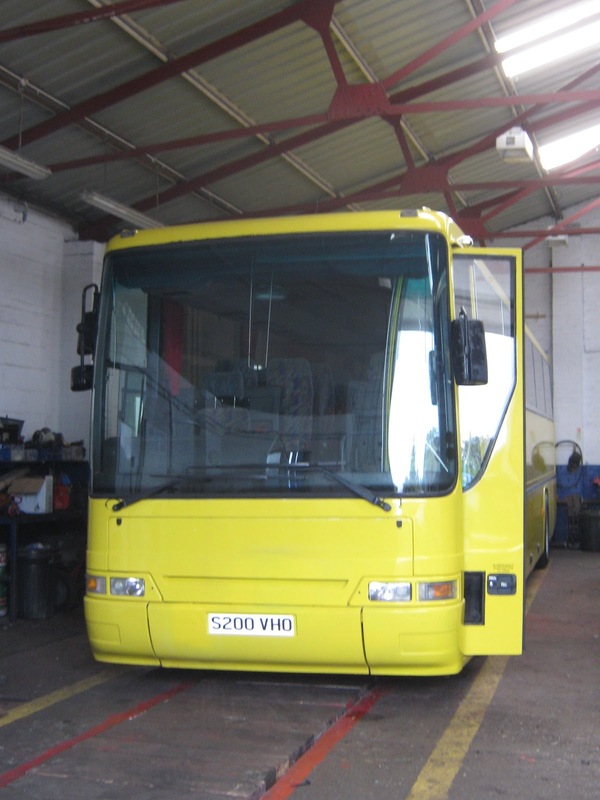 Obtained from dealers Ensign, they were observed at the rear of the depot in early August. 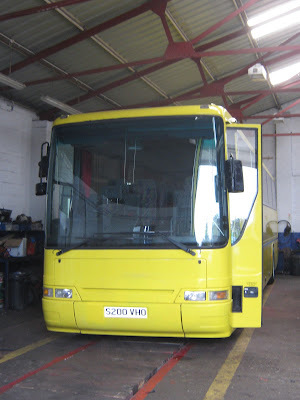 A further example arrived later in the month. 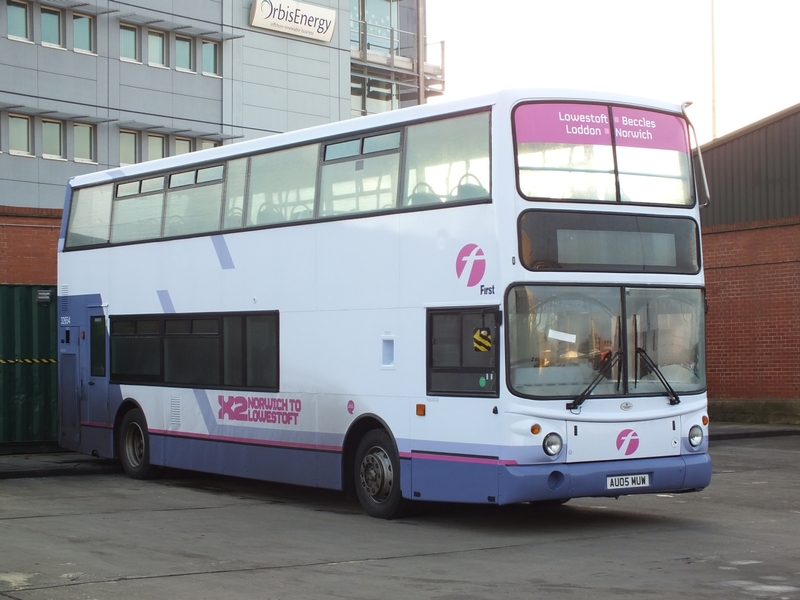 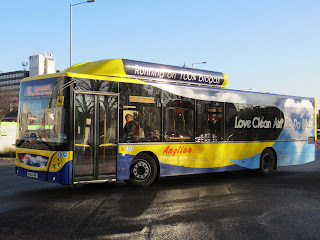 After a repaint in the refreshed First Lowestoft livery the vehicles entered service from late October onwards. 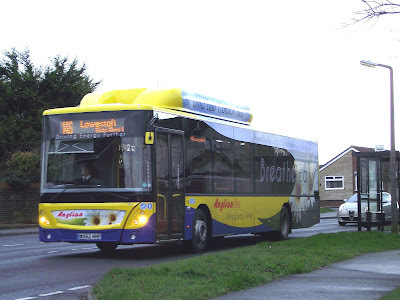 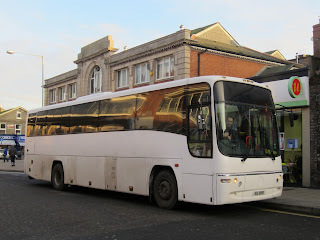 Finally, the AnglianBus A47 Great Yarmouth to Norwich timetable was revised in September which includes the return of the X47 express services with journeys extended through to Gorleston's James Paget Hospital. 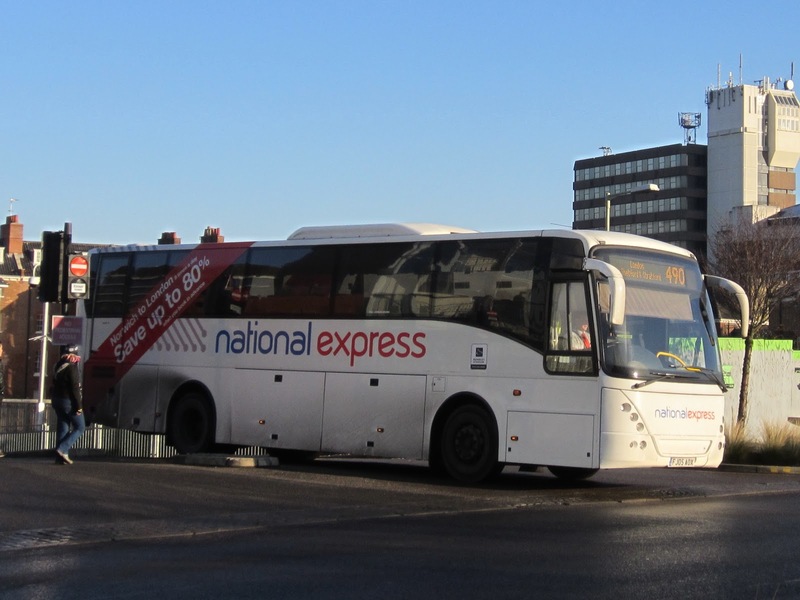 Finally a happy new year to you all! 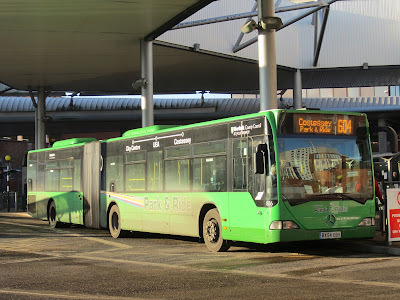 2012 has been a very busy year and I would like to thank all of you who have contributed to the blog and have made it the success it is becoming! A special mention must be made for the tireless contributions from both Grahame Bessey (it's great that you allowed eastnorfolkbus to use your pics first before they appeared in Buses Magazine!) 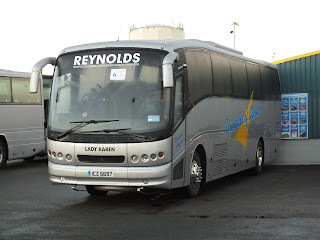 and Syd Eade. 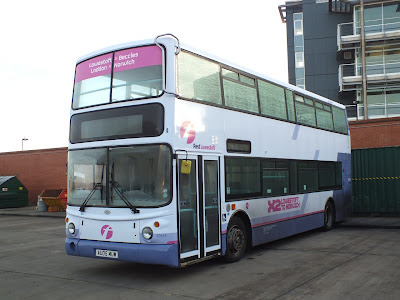 My thanks also go to Tim Miller, James Race, Neil Chilvers, Joe Watson, Paul Bennett, Rob Collins, Ryan, Steve Wright, Terry Wilkins, Thomas Baker, Tim Major, Zac Nelson and Christian Newsome. 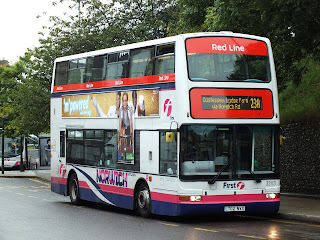 Apologies if I have left anyone out! Christian Newsome has brought the information to my attention and comments that First are hitting back by offering express services between Norwich and Lowestoft missing out North Cove and Hales; exactly the same as AnglianBus 146. He suggests the most interesting development is the re-routing and timetable change of the X22 which will now go via Carlton Village. This is a strange routing because First seem to be reintroducing their old L11 (Carlton Colville via Long Road) route again which saw buses running empty leading to its withdrawal. Time will tell. The route, which links Blofield with Great Yarmouth, runs via South Walsham, Acle and Filby and operates one return journey on Wednesdays only - market day. 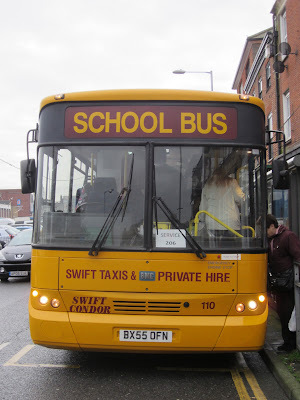 The vehicle was in a yellow livery, with School Bus on the destination screen; the only indication of its route was 'Service 206' on a card in its front windscreen. The Swift Condor departed its Gallon Pot Public House stop on time with around a dozen passengers on board. 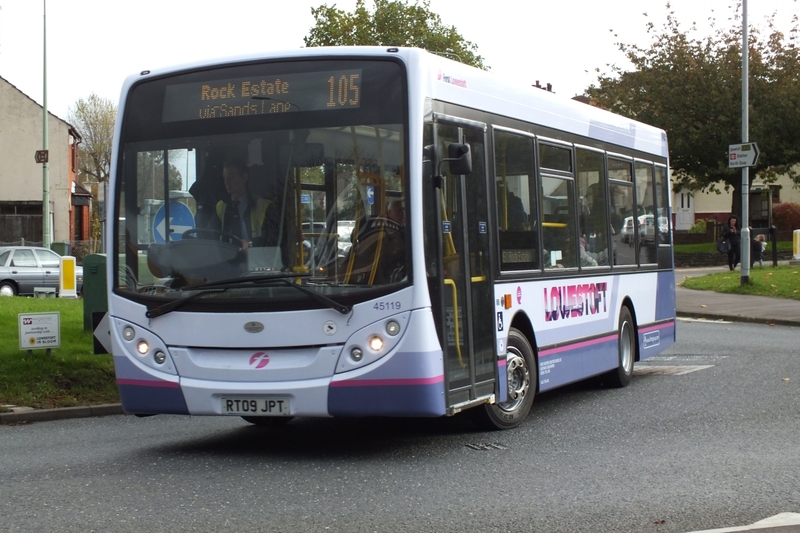 First's Wright Eclipse bodied Volvo B9TL 36166 arrived on loan at Lowestoft earlier today. 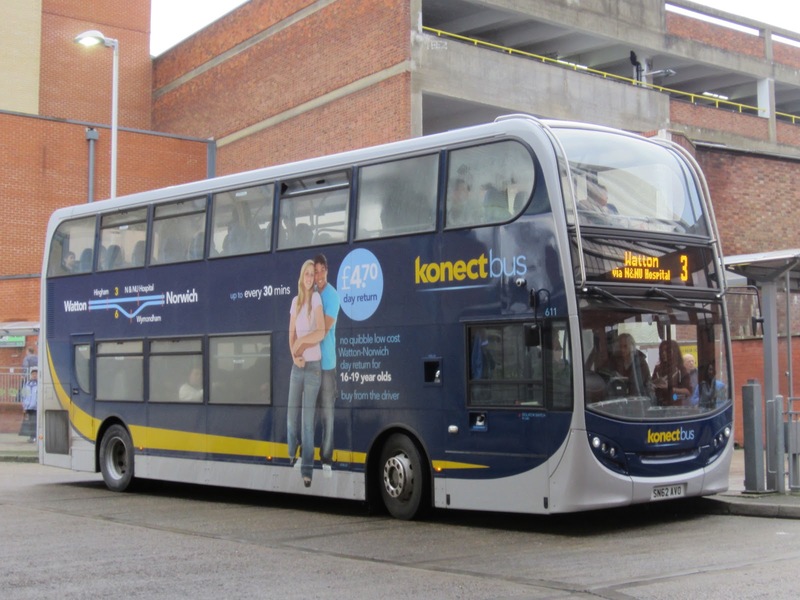 Still bearing Norwich blue line branding, BD11CFK was employed on the 1208 X2 to Norwich and return this afternoon. Firstly apologies for the downtime on the blog which was due to a complete failure with the computer. 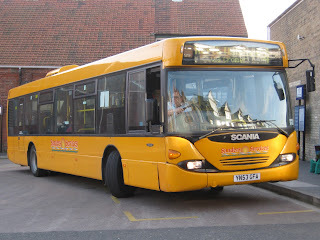 Those nice people at KAS Computers in Lowestoft retrieved all my working files and got me back up and running in a couple of days! 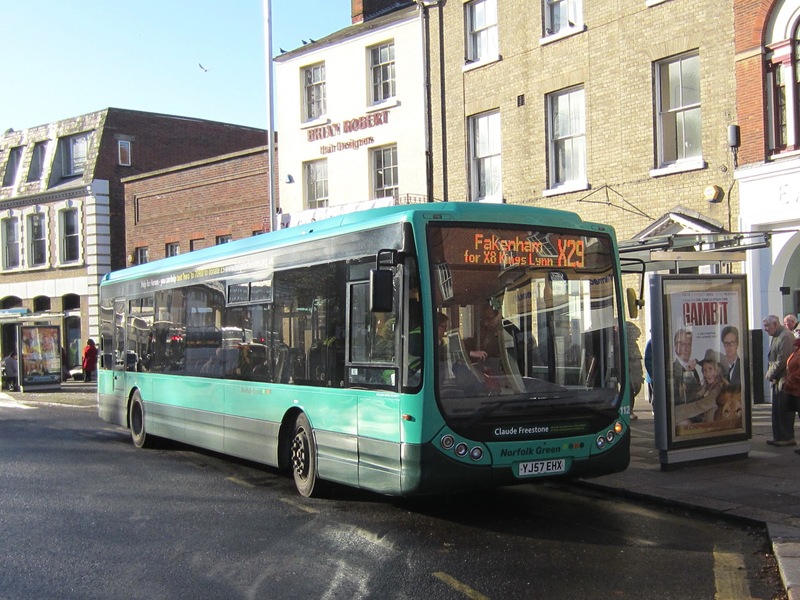 Plans have been submitted to North Norfolk District Council to demolish the tourist information centre building at Cromer to make way for the expansion of the bus station. 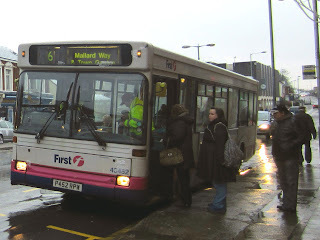 The bus station, on Prince of Wales Road, re-opened in August last year, after closing in 2006 amid many protests. WX62HHP taken at Hollow Grove in Carlton Colville. The new buses operate on biogas, a renewable energy source produced from biodegradable waste materials (food waste, crop residue and slurry), through an anaerobic digestion process - a widely used source of renewable energy in mainland Europe, but relatively new in the UK. 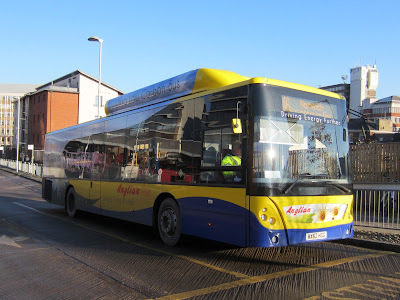 I sampled a journey on 604 WX62HHE, the 10:05 departure as far as Beccles; a very quiet and smooth ride with almost a full load. 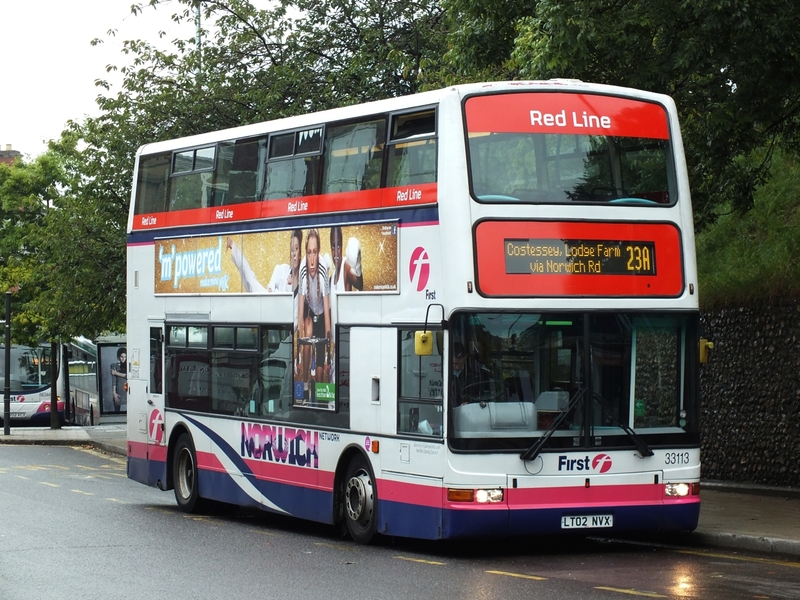 I overheard one of the passengers say that she had deliberately missed the First X2 service to travel on it! 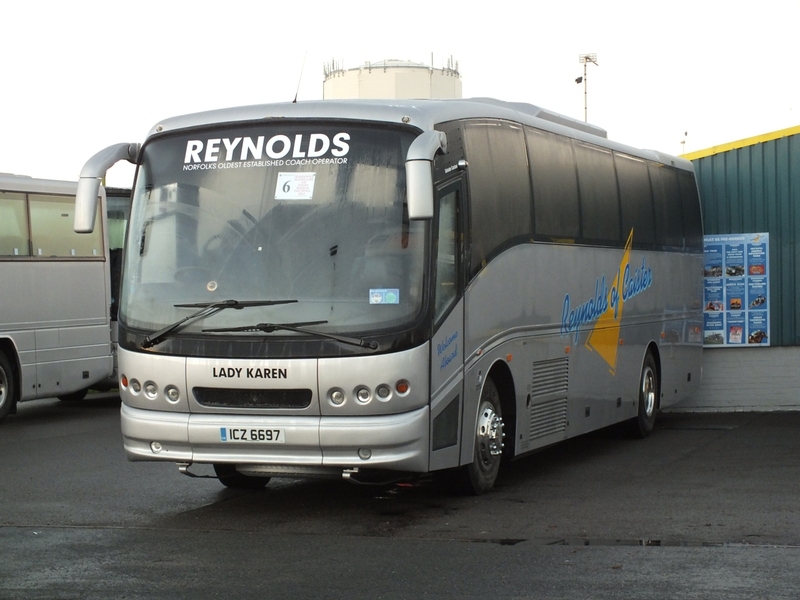 The second of the two vehicles recently acquired by Reynolds from Kent Top Travel has returned from the paint shops in Reynolds' livery. 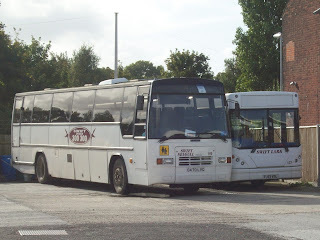 Plaxton bodied Volvo S200VHO was noted at Reynolds' Caister premises by Grahame Bessey who reports it named Lady Maude. 'Despite the rain I ventured out today to experience the new Sanders/Konect services to Cromer and Sheringham. 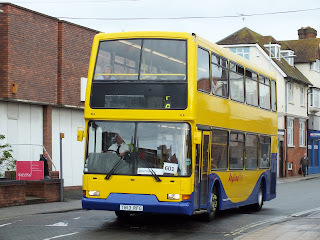 I got a ride out to Cromer on one of the newly acquired Sanders Tridents, which actually carried route branding for the service 55, very clean and tidy inside but a bit faded seating. 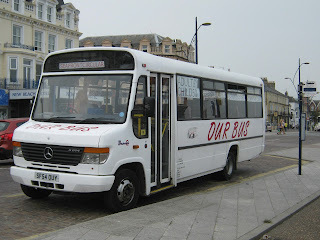 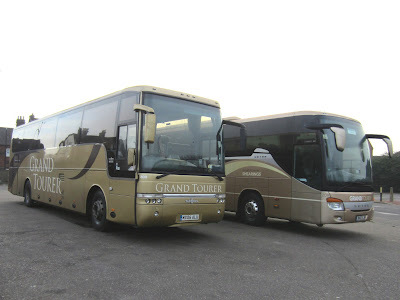 The return was on one of Konect's leather seated buses which as always exude class. 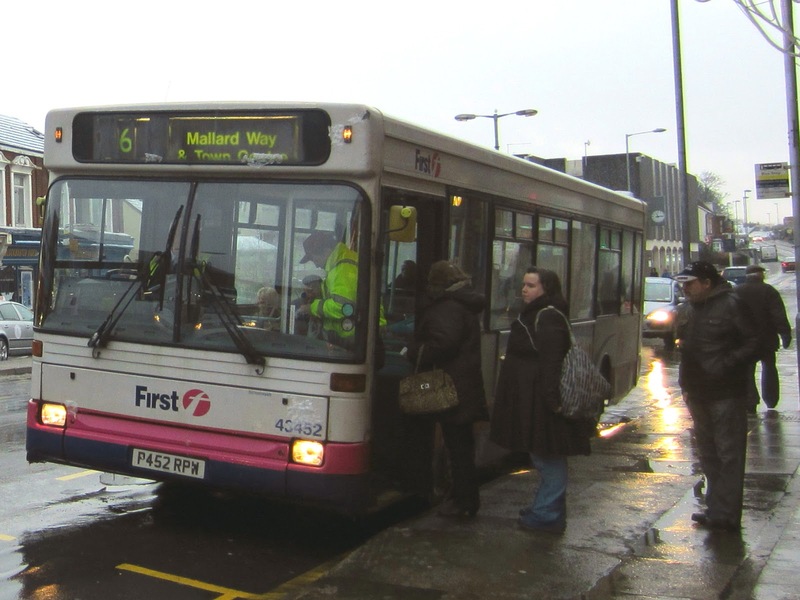 The passenger loadings were very light on both journeys and other services observed appeared to fare little better, although it was dreadful weather. 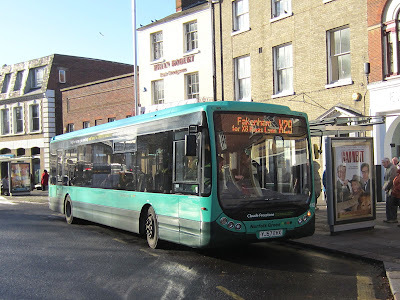 should be a peak hours only extenson of the 44A to and from Sheringham. 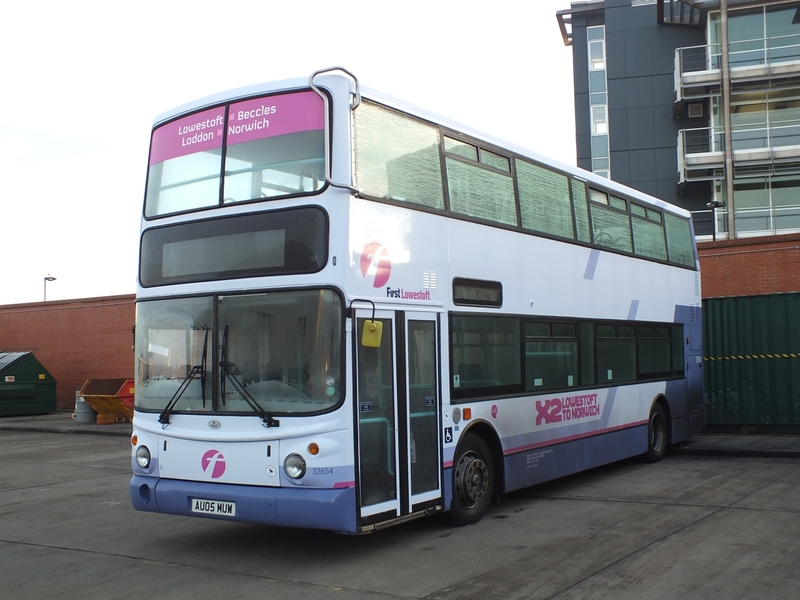 Volvo B12M 20515 WV02EUR is now back in service after having new injectors fitted. 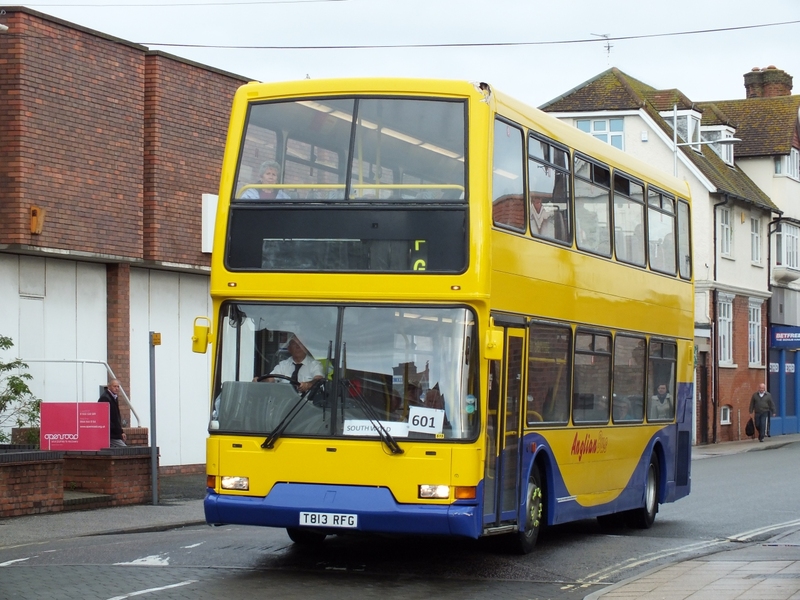 The loan of Dart 43452 R452DPW to Lowestoft has come to an end and it has returned to Caister Road; Volvo B7TL/President 32200 LT52WTE has taken its place. 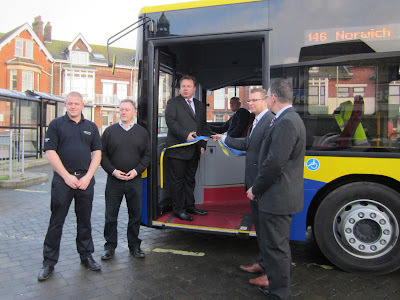 The first of the Go-Ahead subsidiary's vehicles was used during a visit by HRH Prince Charles to Poundbury in Dorset where the Prince opened a new renewable gas plant. 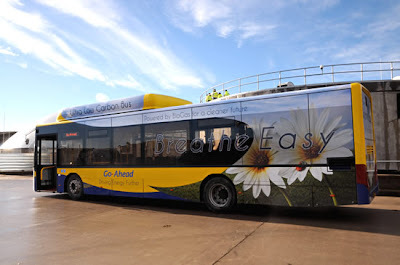 The new plant is the UK's first fully operational commercial scale anaerobic digester and biomethane-to-grid plant, and provides renewable energy for Poundbury, the mixed use community being developed near Dorchester by the Duchy of Cornwall. 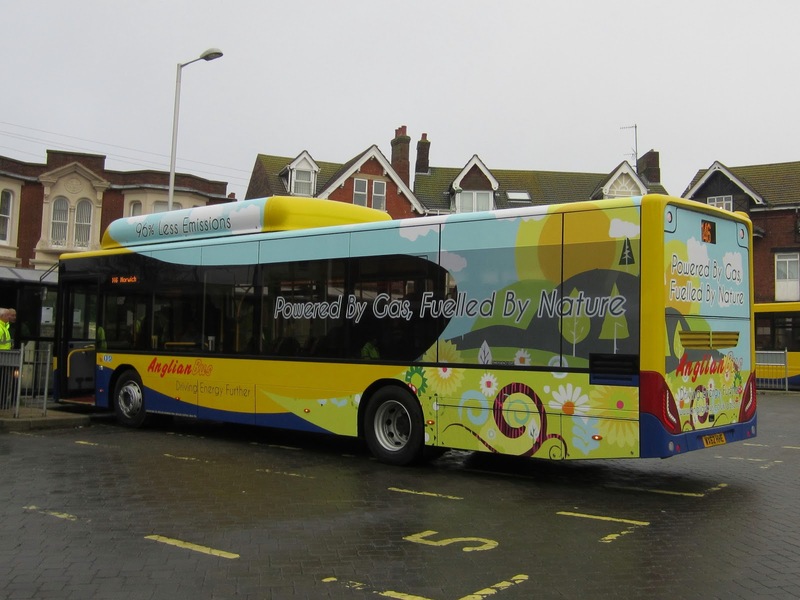 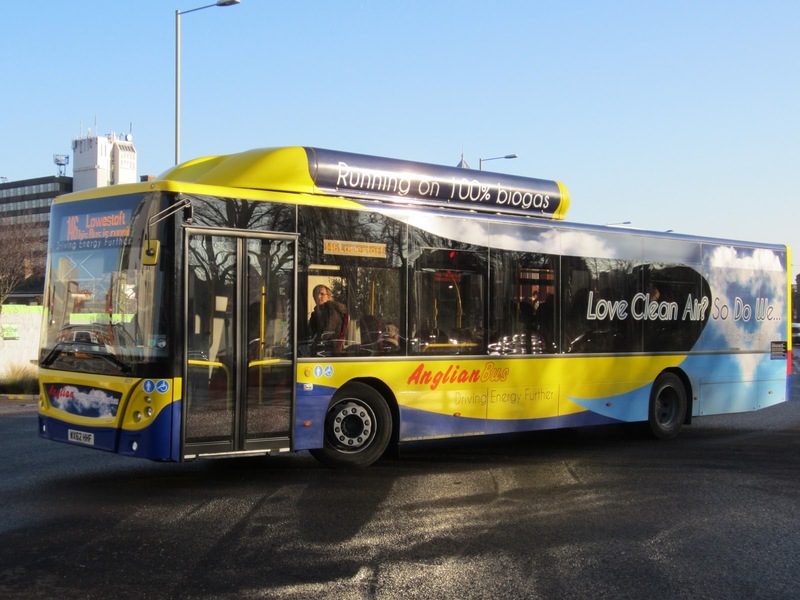 The EcoCity buses will be brought into service over the next two months by Anglian Bus with Go-Ahead investing in a gas dispensing unit at Anglian's Beccles headquarters to fuel the buses. The buses are part funded under round three of the government’s Green Bus Fund which is aimed at reducing fuel emission levels by encouraging bus operators and local councils to use more eco-friendly vehicles. 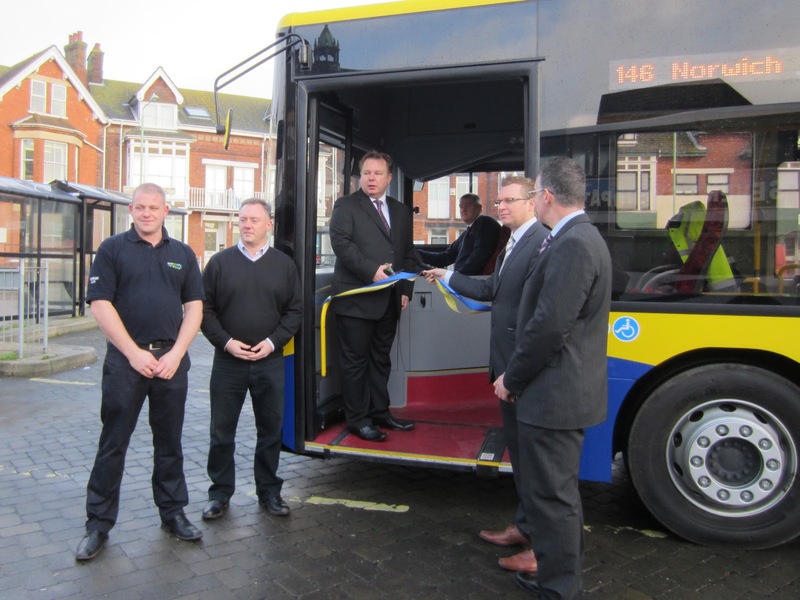 Anglian's Managing Director Andrew Pursey was at the event and chatted to the Prince of Wales about Go-Ahead's use of gas buses. 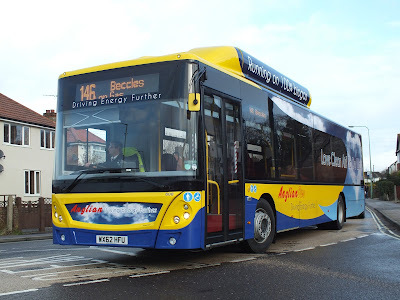 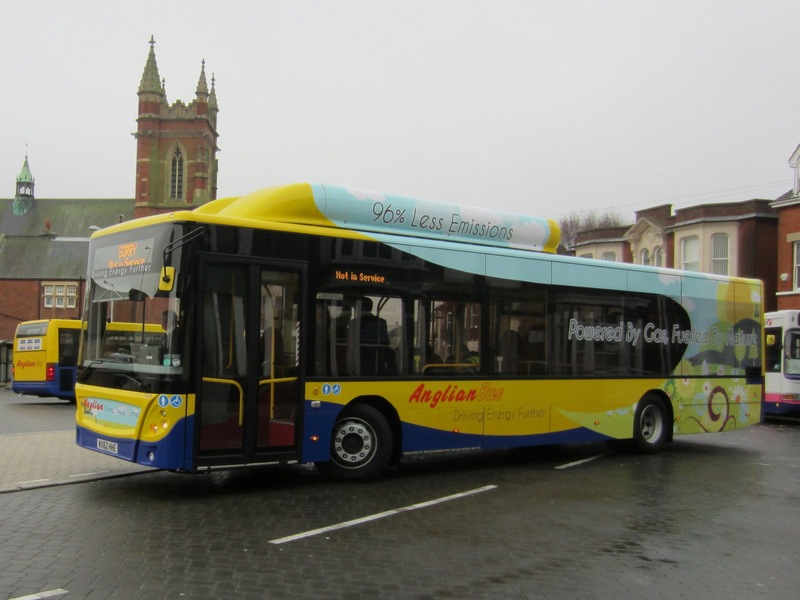 Amongst the services the new vehicles will be employed on is Anglian's new 146 route which replaces its current 525 service between Lowestoft and Beccles which is being extended to Norwich. 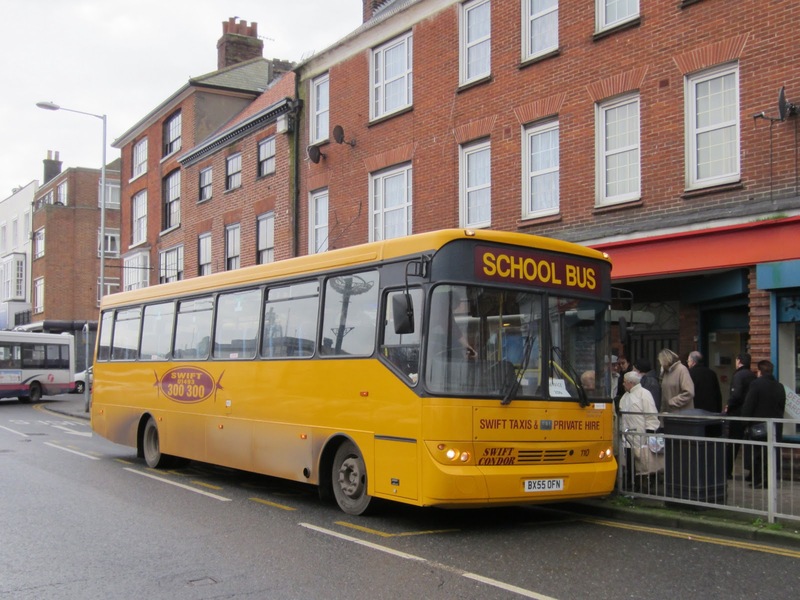 YJ57EHX has more than a passing interest in that, up until a year ago, it was owned by Great Yarmouth operator Ambassador Travel and used quite extensively on school/college work. 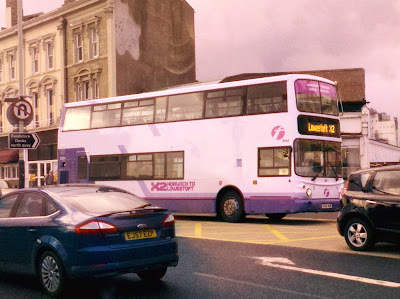 I didn't have to wait long as I soon saw one of them negotiating the roundabout at the top of St Stephens Street. On the vehicle front, Swift's Dennis Javelin G470LVG has been noted at their Southtown yard with a VOR disc in the front windscreen. This means that this one time Caroline Seagull vehicle is not allowed back on the road until mechanical defects have been overcome.